Update: Applications have closed and the new holder of this position, May Yi Then, has been appointed. If you are looking for a way to get more involved in IFSA, your opportunity might be here. The position of Head of Web Commission is now open. By applying to this position, you could broaden your horizons and learn about the functioning of organizations in general. Overall, it is a real chance to develop many useful skills! In IFSA, a Commission is a small group of people working on the same topic, it is made of several commissionners and a Head of Commission. 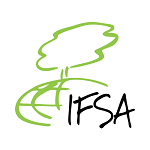 The Web Commission is responsible for the management of the IFSA webpage. The Web commissioners work as a small group in close cooperation with IFSA7 and the Regional Representatives. Upload documents (e.g. newest adopted statutes, GA minutes, IFSA News issues…) on the download page. A list of things to be taken care of has been prepared by all Officials present at Interim in early January, and could be a good start for the new head’s work. The quality that is most required is the ability to organise oneself and one’s own work. The amount of work will not will be overwhelming but it will need to be regularly done. The key issue is to always keep an eye on our website, which, as our main showpiece to the outside world and to our members, is of utmost importance. Knowledge in HTML and PHP language and programming is certainly an advantage but the lack of it is no handicap. One of the goals of the renewal of the site last August was to prevent any technical difficulties to its future users. Therefore, only the HTML basics are required and those can be easily and quickly learned. Moreover, a webmaster guideline has been created for an optimal understanding of the site at the beginning. The head is the coordinator of the commission. He/She is responsible for having a constant overview of what is needed about the website, and of what is happening within his/her team, including the head of social media sub-commission. The head should lead the web commissioners to an agreement regarding the division of the workload and responsibilities. Hence, a smooth communication is needed with the team, as well as with the IFSA Council, which is responsible for supervising the head of web commission. Being the head of the web commission is a very pleasant and rewarding work. Although discreet, it is a strategic position within the official structure. By doing a very valuable work for the association’s communication and management, the web commissioners are in the very heart of IFSA and know all its little secrets. You would be part of the team of IFSA Officials until the next General Assembly (August 2015), hence getting to learn about online teamwork in an international context. A recommendation letter written by your LC President. The deadline for applications is the 25th of March, although it will be a rolling application. This means that as soon as the Council receives a great application, that would let us think the person would do a great job, this person will be appointed even before the deadline.